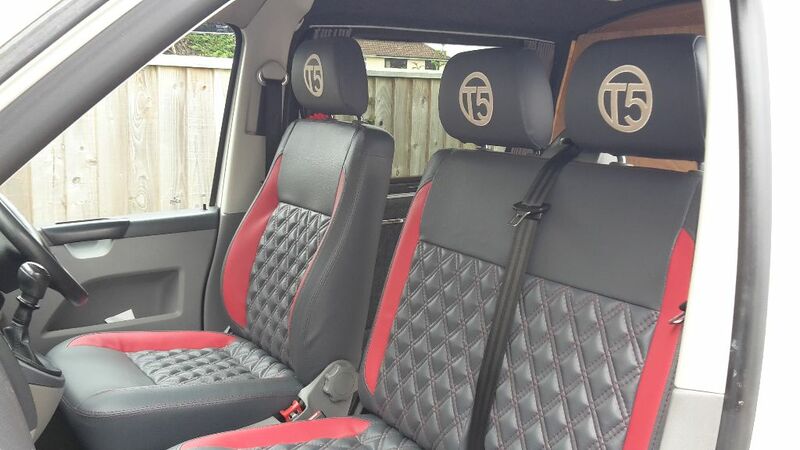 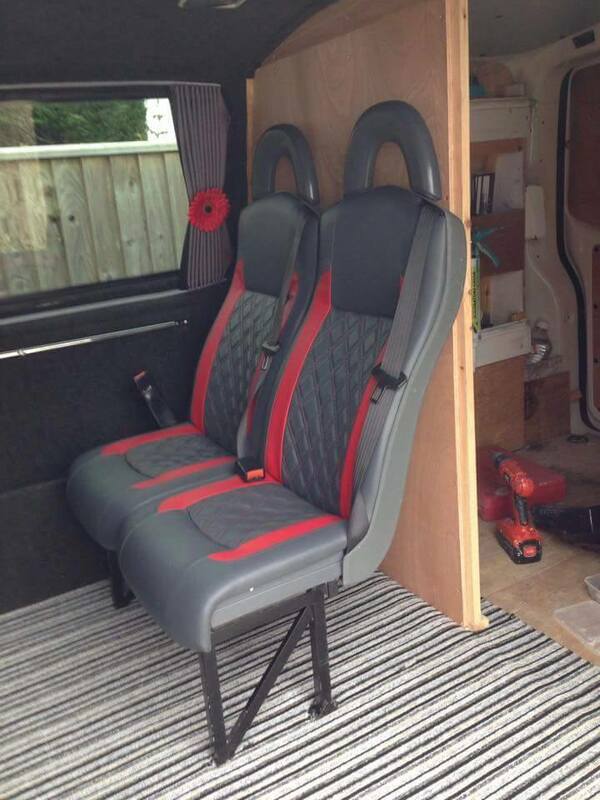 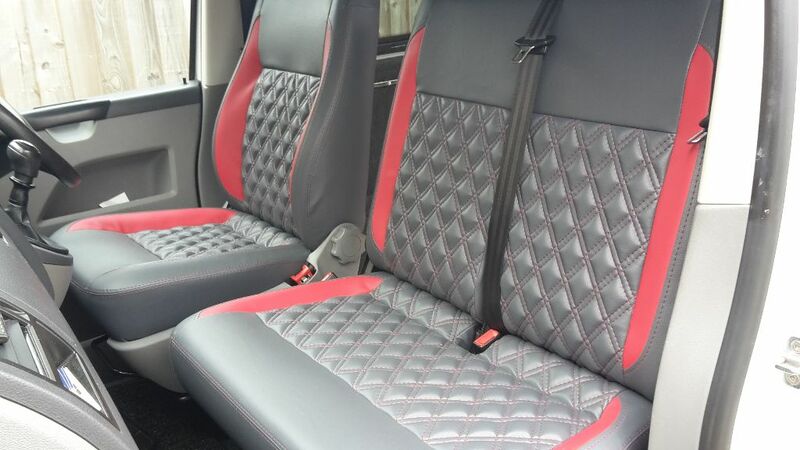 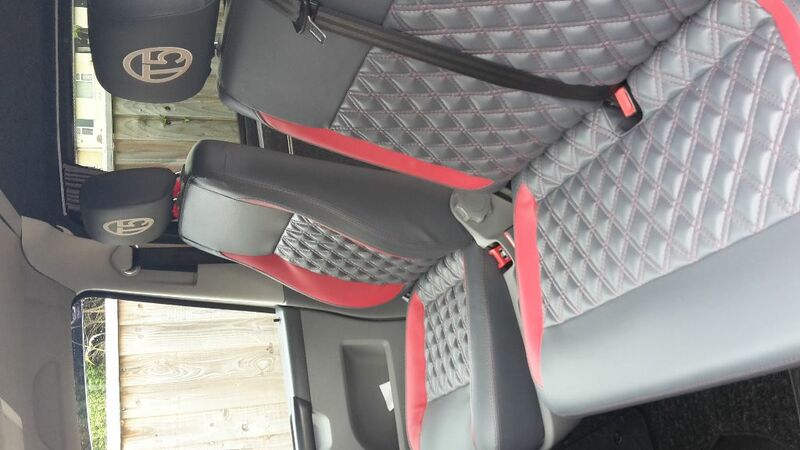 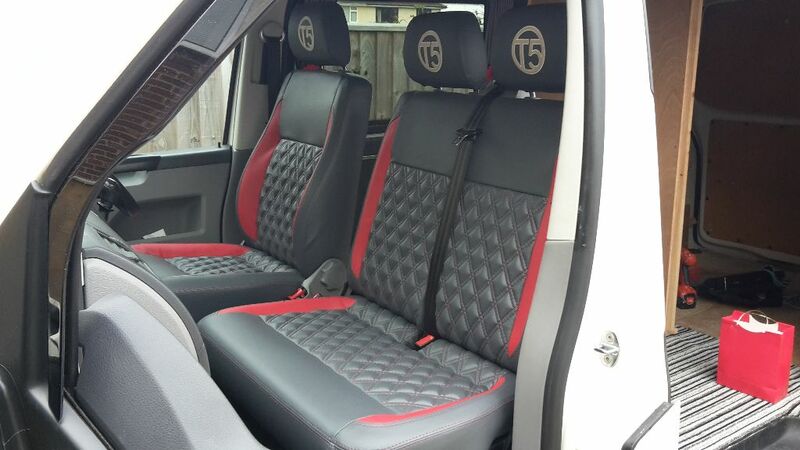 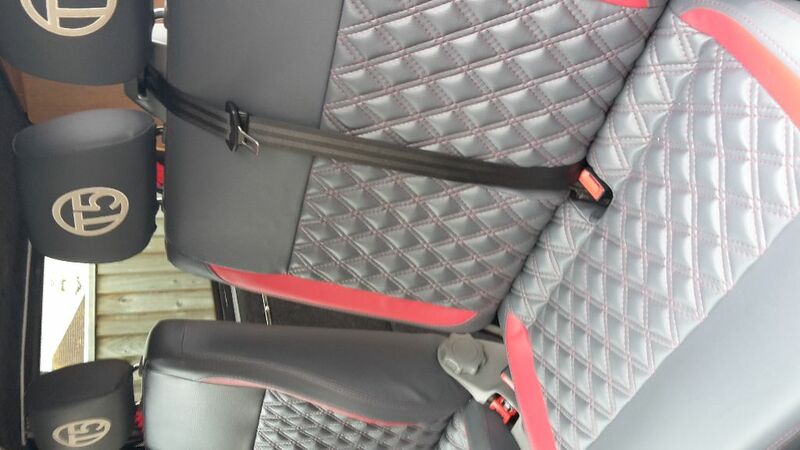 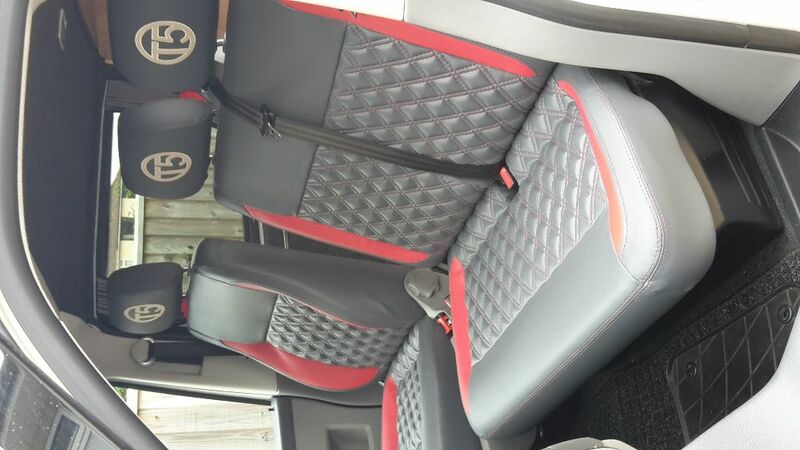 VW T5 front captains and bench seats are upholstered in grey Vinyl fabric, with red inserts. 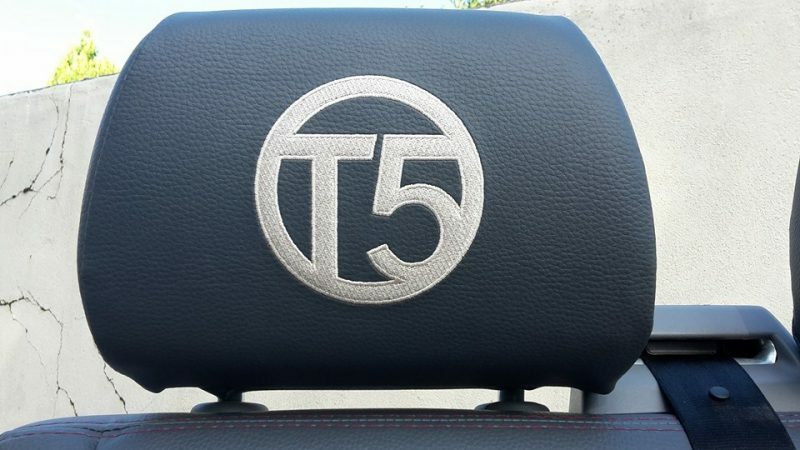 The centre panels have raised Bentley style stitching, with custom embroidered T5 in the headrests. 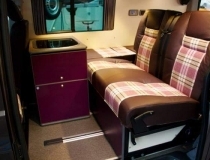 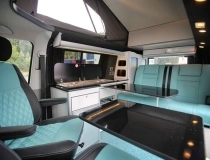 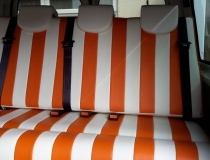 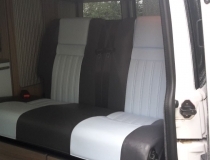 The rear seats are also upholstered in the same fabric, the Vinyl used in the reupholster of these van seats, is a high quality hard wearing fabric, which suits the working nature of this van.